TS LPCET 2018 – Commissioner and Director of School Education (CDSE) Telangana has released the notification regarding admission into language Pandit Training Course (LPT) in Government IASE / CTEs and Private Language Pandit Training Colleges in the State of Telangana through LPCET – 2018. TS LPCET stands for Telangana State Language Pandit Common Entrance Test. 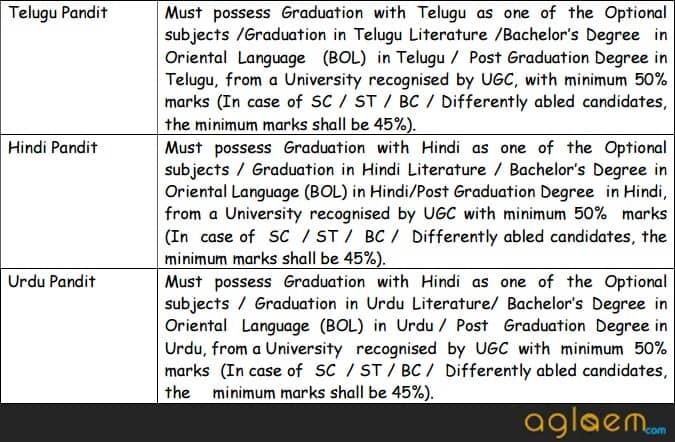 Candidates who wish to become language pandits must appear in LPCET 2018. It is being held for TPT, UPT, HPT. 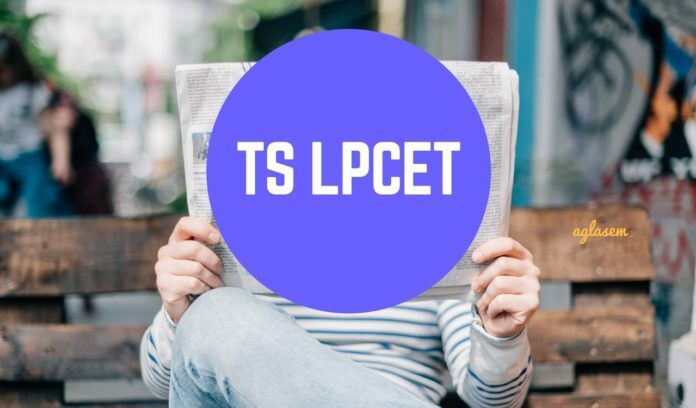 Get here complete details of TS LPCET 2018 date, application form, admit card, answer key, result. Latest: The schedule for LPCET 2018 will be announced between August 23 to August 30 2018.The detailed schedule will be updated here once released. TS LPCET 2018 has been held through the computer-based test (online mode) for admission in Govt. IASEs / CTEs / private Pandit Institutions in the state of Telangana for the academic year 2018-19. Interested Candidates have filled the application form to appear in the examination. Official Answer Key has been released by the TS LPCET. Candidates must use only the official answer key. They can estimate the marks by cross-checking their marks with the official answers. Candidates can check the Answer Key from the link provided below. Answer Key: Click Here to check the TS LPCET – 2018 Response Sheet. Age Limit: The candidates should have completed 19 years of age as on the 1st July of the year of admission i.e. July 01, 2018. There is no upper age limit. Educational Qualifications: The candidates who have passed the minimum qualifying examinations mentioned below are eligible to apply, as per G.O.Ms.No.97, Education (SE-Trg-1) Department. The above qualifications prescribed are for LPCET-2018 only. The Government may prescribe over and above qualifications at the time of Teacher Recruitment Test (TRT). The application form of TS LPCET 2018 can be filled online at the official website. Candidates can apply online by visiting the official website. Application form must be submitted on or before its last date. Before filling up application form, candidates should check eligibility criteria which is mentioned in information brochure or prospectus. Eligibility criteria differs slightly for each language. While applying, candidates should fill form with concentration to avoid mistakes. Then after filling up form, a printout of it should be kept safely for future reference. Later on, you may need to refer details filled in form. Application form fee: The candidate have to pay a fee of Rs. 400.00 through LPCET website. Candidates can download their Hall Tickets from the dates to be notified on the official website. Candidates may keep viewing the website for information on dates of download of Hall Tickets. In case any candidate cannot download the Hall ticket during the dates notified for download of Hall Tickets, she/he should contact the help line by giving the details of the Payment Reference ID of the fee paid and the Registration number of the application submitted. Request for issue of duplicate Hall Ticket will not be entertained after the examination in any case. The medium of LPCET shall be Telugu, Hindi and Urdu Language for the respective Pandit Training Programmes. Only the candidates who obtain qualifying marks in the LPCET shall be assigned ranks as per order of merit. However SC & ST candidates shall be given ranks as per merit order of marks secured by them in LPCET irrespective of qualifying mark for admission into their respective categories. No requests for re-totalling of marks, revaluation of answer scripts or personal verification of answer scripts will be entertained. The LPCET will be conducted at different examination centers to be constituted in the identified places only and not at any other place. The LPCET shall be conducted online at Hyderabad and Warangal on the scheduled dates. CDSE Telangana will also releases LPCET 2018 question paper with answer keys. This serves many purposes. To start with, those who appear in exam can use TS LPCET answer keys to check correct answers. This further helps candidates to analyse exam performance and estimate marks obtained. Moreover it makes admission process transparent and fair. After that, it is also helpful for future LPCET aspirants who can use TS LPCET 2018 question papers with answer keys to appear in exam. No request for re-checking, re-assessment, re-evaluation or scrutiny of Computer based test (CBT) will be entertained. The marks along with ranks of the candidates will be hosted on the web-site. It is either published at login or as merit list pdf that can be downloaded. LPCET merit list contains hallticket number, candidate name, father’s name, date of birth, gender, community, marks, course opted, and state rank. State rank is very important for admission. It is on basis of rank only that admission is offered for pandit training. Candidates must also keep in mind that a qualifying cut off is prescribed in order to qualify for some categories. Since merit list has hallticket number, so hall ticket number should be kept safely for checking result. All the sanctioned intake of seats in Language Pandit Training Course in the Govt. IASEs/CTEs and Private Pandit Training Colleges shall be filled through LPCET-2018 only. Such seats shall be allotted to the candidates on the basis of the rank obtained in LPCET-2018. The intake capacity in each institute may change from time to time as decided by NCTE (National Council for Teacher Education). The admission procedure will be followed as per the Government Orders issued by the Government from time to time. The Rules governing the procedure for Counseling and admissions shall be notified along with dates for Counseling and admissions. For more details on TS LPCET 2018, download information brochure. LPCET AP Application Form 2019 – Available!